Home Sport How can Colombia qualify for the knockout round? How can Colombia qualify for the knockout round? 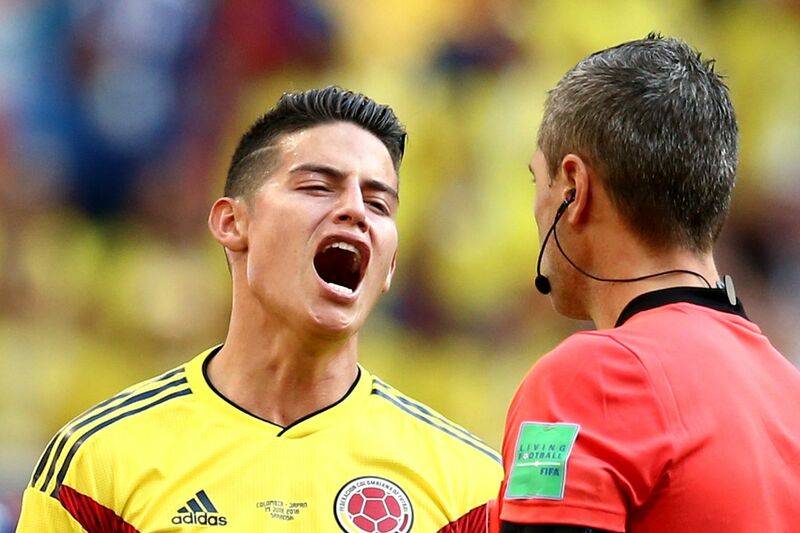 Colombia aren’t done yet, but they need help to get out of the World Cup group stage. Following the 2-2 draw between Japan and Senegal earlier in the day, Colombia controls its own World Cup destiny. If Los Cafeteros win both of their remaining games, they’re in the World Cup knockout stage. It’s that simple. Conversely, if Colombia loses to Poland on Sunday, they’re eliminated. If Colombia-Poland ends in a tie, it gets a bit more complicated. First, here’s the Group H table as it stands before Colombia’s match. Senegal and Japan both have two games played here, while Colombia and Poland just have one. Colombia plays Senegal on the final day, while Poland plays Japan. Here are all the scenarios. – A draw IF Japan beats Poland or Colombia betters Senegal on a tiebreaker. The second scenario requires a multiple-goal or 4-3 or higher scoring Colombia win on Sunday. – A win over Senegal PLUS a tiebreaker advantage. The scenarios are too complicated to go into before we know the result, but Colombia is going to be better off if they score a lot of goals on Sunday, regardless of whether the match ends in a win or draw for them. Is your head spinning? We apologize. There are so many variables at play in Group H right now. In the event that the group ends with teams even on both points and goal differential — which is looking pretty likely! — it goes to all the other tiebreakers, which you can read about in our handy tiebreaker guide.